We are getting awfully close to the tax deadline here in Canada. If you’re planning on using TurboTax this year then be sure to follow the above link to apply a 10% coupon to most versions of TurboTax Online sold at intuit.ca. No codes needed – Simply follow the above link to apply the discount (it’s that easy!). 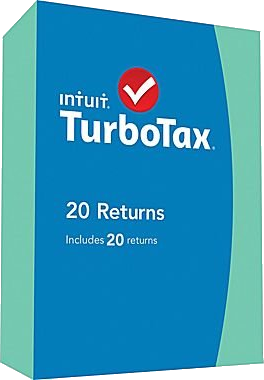 TurboTax 20 is perfect for those preparing multiple returns (up to 20). See store for details. 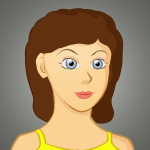 When it comes to tax software, we’ve noticed that every year there is some sort of bundle deal available. This year our favorite is the Microsoft/TurboTax bundle offered at Amazon where you will save an extra $20.00 on your entire purchase if you buy select versions of TurboTax and Office Home & Personal together in the same order. Because the discount is applied on top of the listed sale price this deal is actually pretty good and may be a good opportunity for you to upgrade your PC from an older Office version you may have. To get the discount simply add both qualifying software versions into your shopping cart and you should see the discount applied automatically for you once you begin the checkout process. You may or may not be aware that all of TurboTax’s online versions are available for you to try free. Simply login to your online TurboTax account and you’ll be able to begin working on your tax return. If you don’t have a TurboTax account then it just takes a few minutes to make a new one and doesn’t cost you anything. They will let you work on your tax return until it comes time to file. If you decide to file with TurboTax then you’ll need to purchase a copy. If not, then just stop right there and you don’t need to pay anything at all. This offer is available to both new and existing customers and there is no time limit to this trial. Unfortunately then boxed/download versions do not have free trials available.